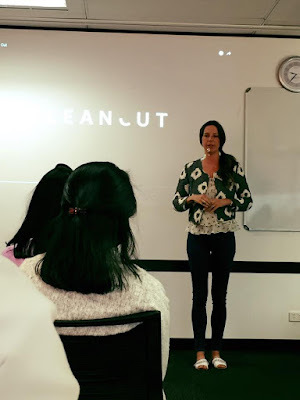 A couple of weeks ago I was delighted to present on fashion and sustainability to a group of 25 Indonesian delegates hosted by QUT's School of Fashion. The designers came to Australia for professional training in international business, specifically for the Fashion & Textiles sector. 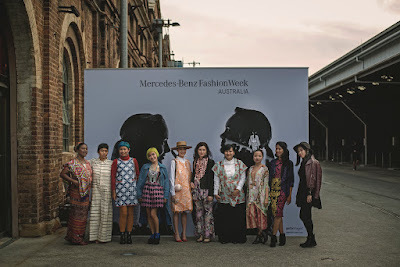 The program, #fashiondiplomacy, was made possible through The Australia Awards, a federal government initiative designed to engender meaningful connections between people and institutions across Australia and Indonesia. The delegation was here for two weeks - split between Brisbane and Sydney - and participated in workshops, industry presentations, site-visits, market research, and the oh-so-coveted attendance at Fashion Week. Here are some of the designers, plus fashion lecturer Carla van Lunn, at Fashion Week. It's not just our physical proximity that makes this a valuable connection, it makes good business sense, too. As Carla van Lunn, the program's director, explained. "The two-week course aims to spearhead a 'Bondi Bali' connection as Australia and Indonesia both enjoy warm weather, plenty of coastline and creativity to tap into the global resort fashion market." Presenting to this group was an absolute delight. Okay, it's true that I love talking about fashion and sustainability to anyone who will listen. But this group was uniquely open to learning, new to many of the concepts, and interested in learning about these issues. The looks of surprise visible on many faces suggests that many of this information was new and unexpected, and I was asked thoughtful and insightful questions about how they can start to address some of these concerns in their own labels, and some of the misconceptions about 'sustainable fashion'. I also had the joy of presenting alongside fellow Clean Cut co-founder (and sustainable fashion designer extraordinaire) Carlie Ballard. Hearing firsthand from a designer who has gone to great lengths to create an ethical and sustainable supply chain - all the way from raw materials through to fabric weaving and garment production - would no doubt have provided the delegates with invaluable insights. Love her top and jacket? Check out Carlie Ballard's label! During the tea break I also had the chance to talk with some of the designers in greater detail about their work. I was reminded of the differences between developed and developing countries, and the necessary variation in business priorities and sustainability initiatives depending on the local situation. I also met a designer interested in gaining Fairtrade and/or GOTS accreditation for the cotton she grows without chemicals on her land. I suspect I learned nearly as much about Indonesian fashion and textiles as they did about sustainability that morning! Thank you, QUT, for the opportunity to engage with this warm, generous and talented bunch of designers. 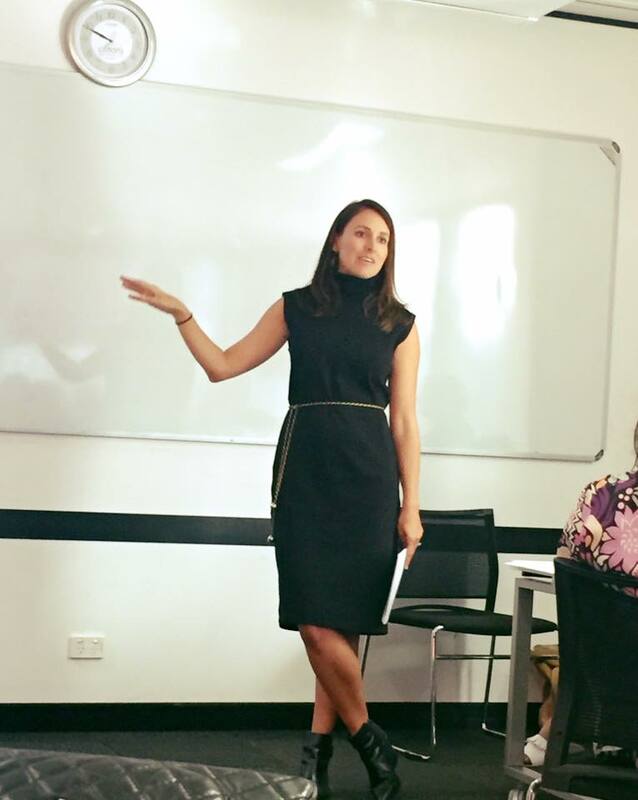 PS - if you would like me to come present on fashion and sustainability to your school, workplace, community or otherwise, drop me a line!